Donate to PCOS Nonprofit - PCOS Challenge, Inc.
Why Donate to PCOS Challenge? Your gift will help PCOS Challenge raise public awareness about Polycystic Ovary Syndrome (PCOS) and related conditions as well as support PCOS education, advocacy and research. 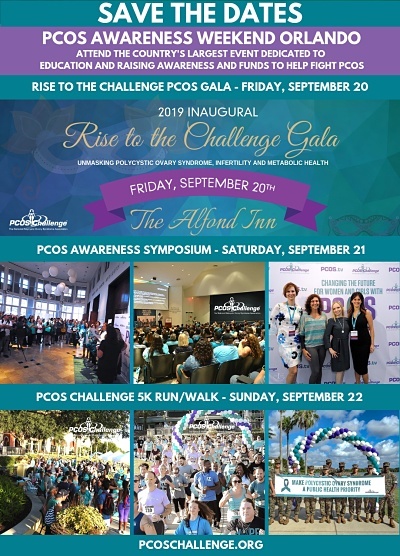 women and girls with PCOS and our programs play a critical role in helping those affected by the condition overcome their struggles with infertility, weight gain, hirsutism, anxiety and depression and reduce their risk for numerous life-threatening related diseases including type 2 diabetes, cardiovascular disease and cancer. Donations may be made by check OR online with a credit card.